I wrote this post after finishing up my first shampoo bar, but I've updated it after using shampoo bars off and on for over 2 years. There was a bit of a learning curve to it, but it really is a simple way to cut out some plastic. So keep on reading to find out my shampoo bar reviews and tips on using a shampoo bar. fees by advertising or linking to certain products and/or services. I bought the combination pack of J.R. Liggett so I could try out several different kinds of bars, but I've found that they are pretty similar in terms of how they work. Ethique also makes a sampler pack so you can try out several of their bars. Take the bar and lather it in your hands. From there apply the suds to your hair. You can apply the bar directly to your head, but it seems to lead to more breakage. Or maybe there is just more hair ends up on the bar. It's annoying having hair wrapped around the bar, so I exclusively just apply the lather to my hair rather than the bar directly. I try to focus on my scalp and not the ends of my hair. The bar soap does not lather as much as regular shampoo does so I have developed a technique. I get lather on my hands from the bar, then massage my temple area. Then I lather up and apply the soap to the underside of my hair, and finally I lather up and get the front and crown of my head. This allows me to get soap to all parts of my head and only a little on the dry ends of my hair. Do shampoo bars work? The question we all want to know! I would say yes! Now, there were times when I was longer between washing (so my hair was greasier) and when I wasn't quite as good about washing all parts of my hair, it would seem greasier than I would have liked after washing. However after working out the above techniques I've been pretty pleased. My hair is also naturally dry, so I have to keep convincing myself that my hair isn't really greasy, it's shiny and healthy looking. My hair would start looking like the girls in the Pantene commercial and I'd start thinking I was looking like a hot mess. I imagine it has to do with the type of shampoo bar you have. The first bar I used was JR Liggett's with coconut and aragon oils which I knew would have moisturizing properties. Now that I'm on the second bar I haven't found it being much drier, but full disclosure I've always used conditioner with the shampoo bars. My hair is so dry, I feel I need a conditioner. I've used Lush's conditioner bar and now use Plaine Products Conditioner (my review of Plaine Products conditioner). Is there a transition period with using shampoo bars? I didn't notice one. However I made the switch while trying to wash my hair less frequently anyway. So any changes in how oily, or not, could have been due to that. Some people have said their hair feels weighted down some, but I maybe attributed that to not having a great technique rather than a transition period. Did shampoo bars make your hair waxy? I didn't find that my hair was waxy. I know some people have described this. There are a number of reasons why I may not have and someone else would: The shampoo bar they were using (there are a whole lot of options out there!). The technique they were using (I think lathering in the hand is the way to go). Not using conditioner. I always used a conditioner or an apple cider vinegar rinse and it could be that this helped keep my hair from being waxy. Will I keep using shampoo bars? Absolutely! It is an easy way to eliminate a source of plastic in my house and it keeps my hair clean. I have straight hair that is below shoulder length. It tends to be pretty dry and brittle and prone to breakage. As a result I'm trying to wash my hair less and keep some of the natural oils and protection on my hair. I typically was it no more frequently than every other day, but try to stretch it to every 2 days and maybe to every 3 over the weekend. On day 2 my hair either looks normal or may have a slight shine to it. (It took me a while to realize that what I was calling greasy was really just shine since my hair is that dry). By day 3 or longer it can get oily. Using my boar hair brush (alternative) helps a bunch in spreading the oils out down the hair shaft. I want to let you know some information about my hair so if you get totally different results it may be why. 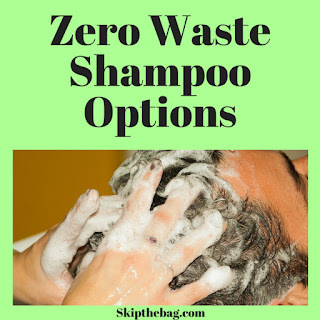 Don't forget to read about my experiences with other zero waste shampoo options. Would you use a shampoo bar? Random tip which I have been using. If you can get an acrylic yarn, cotton or other knit little bag (not wool as it shrinks) and put the shampoo bar in there then you get a much better lather. I find my shampoo bars last slightly longer putting them in the bag, and you don't have to worry about the little bits at the end of the bar, as you just open the little pouch and add a new bar, and it all goes together. If it gets too dirty or you want to change soap, you just put into a washing machine for a good wash, and all clean for the next round. Great tip! I'll have to keep an eye out for a bag that would work for that. Thanks for commenting! Great tip! I've been keeping mine in little tins and they go a bit gluggy. Will definitely look out for a little bag to keep them in. We have been using these for a while, we love them. There are all sorts out there too, including body wash and conditioners! I know! I can't believe it took me so long to know that these existed; it's such an easy swap! I looooooove shampoo bars. It is hit and miss though depending on the brand. I bought a homemade one from a local lady and it left my hair greasy and grimy. Then I bought one from Lush and they are awesome. I can go 3-4 days without washing. Hmm, I've only tried the one brand, but it seems to be working. Good to know if I run across one I don't like it's probably just the bar and not my hair. I've been using the Shampoo and Conditioner bars from Ethique and have found them amazing. Thanks for sharing. I find these types of posts to be helpful when convincing others (especially those with long hair) that a shampoo bar is feasible. Thanks! I've been surprised how easy a switch it's been. 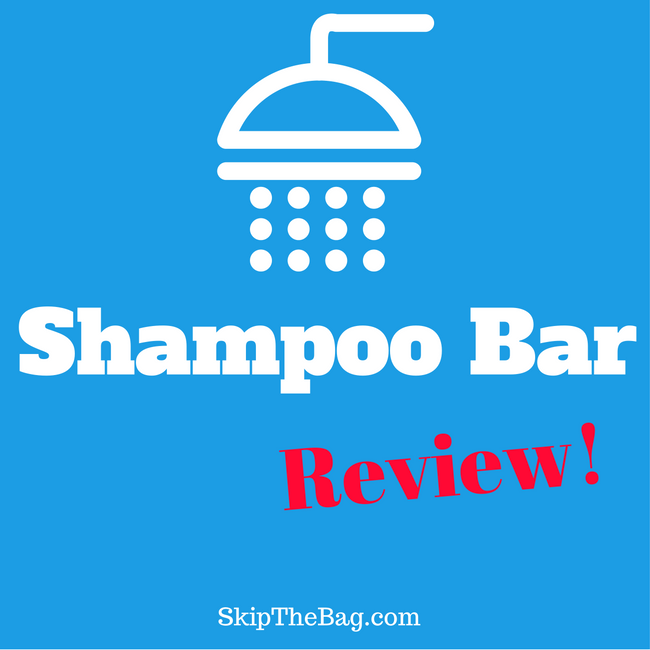 I can't vouch for their shampoo bars, but shampoo bars in general are an easy switch! You are welcome, off to check it out! I haven't ventured into soap/shampoo making yet. I'm a little intimidated by it right now. You'll have to let me know how it turns out. I'm definitely going through the transition that people talk about. It's been a week, and it's some better, but waxy, greasy and heavy. A conditioner would alleviate the transition because it helps the cuticle lie flat. The lush bars have most of the same ingredients as shampoo, so there isn't a transition to using those. However, I have a medical condition that required dropping all chemicals, and there is a withdrawal period for your hair before the oils in your scalp adapt to the new 'normal' and the buildup of elements from conditioners is washed our...the doctor told me to give it a month. Hoping it's better soon. I make my own coconut shampoo bars and I make an apple cider rinse. I’ve been doing this for a couple of years and I will never go back to store shampoos.